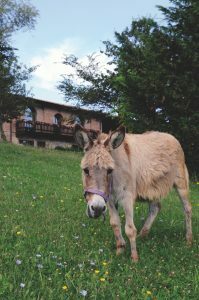 There are more than 18,000 agriturismi in Italy, half of which have sprung up recently – particularly in Tuscany and Alto Adige. The idea of coupling farming and tourism originated as a response to the decline of small-scale farming since the 1950s. 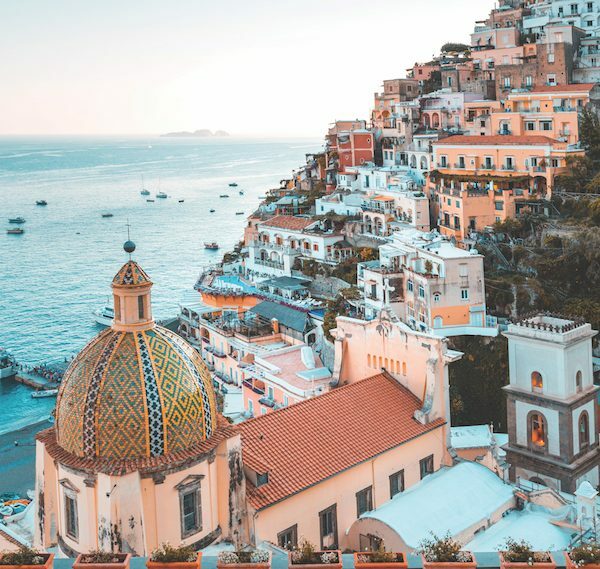 In 1985, in an attempt to halt the trend, a law was passed that enabled farmers to supplement their income with tourism. It was a savvy initiative, one that is now being replicated in France. However, as so often happens, the spirit and the letter of the law are not always the same. In short, there are good agriturismi and there are bad ones. And, over the years, I have had the fortune/misfortune to stay in both sorts. The key is to know how to distinguish between them. The problem is that it isn’t always that easy. Last year, I stayed at an ‘agriturismo’ in Tuscany. Upon arrival I was presented with a glossy brochure listing its many facilities. From a swimming pool to a jacuzzi, there was everything – except, that is, any meaningful sign that I was staying on a farm. The lawns were carefully manicured but the closest it came to actually growing anything edible was a pitiful vegetable patch that made the Sahara look fertile. There was a meticulously groomed dog, but farm animals were notable by their absence. As indeed was the proprietor, who gave me his contact number before leaving for home – which was a house some five miles away on the other side of the valley. Just before doing so, he turned and asked me if I’d need any bread in the morning as he would need to let the bakery know. Politely, I declined. The problem can be one of expectation. The reality of farm life does not equate with some people’s ideas of a holiday. This has given rise to ‘Disneyland agriturismo’, where tourism becomes the motivating factor and the farm is merely a façade to disguise what is in essence a restaurant with holiday apartments. Now, I have nothing against holiday apartments, just please call them what they are. Of course, just because it’s a farm doesn’t mean you have to be wading through mud to get your breakfast. 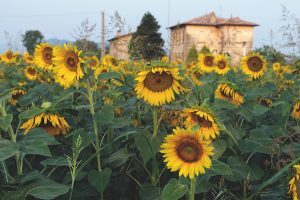 At Cergallina, in the province of Piacenza, a balance has been struck between comfort and authenticity. Although the old farmhouse has been converted to provide every comfort, this has not been done at the expense of the farm. The cottage garden facing the house is next to the stables, while cows roam freely in the field beside the chicken coop. The restaurant is as it should be: most of the food comes from the farm. The vegetables come direct from the orto (vegetable garden), the beef from the farm’s own herd of cattle, the preserves are made in-house from fruit picked just outside the door, the menu is traditional, and the pasta, of course, is made fresh every day. They even bake their own bread. 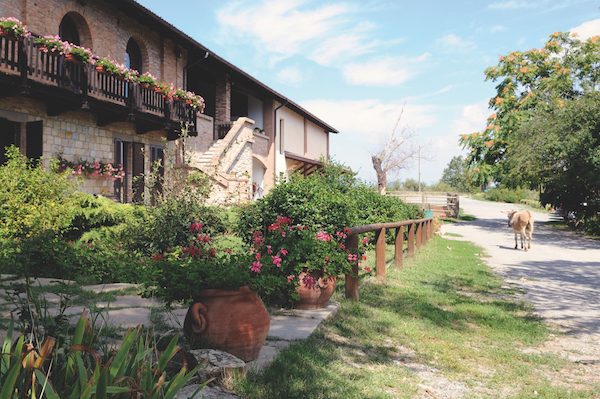 At its best, a stay at an agriturismo can be a rewarding experience. A good meal there will give you an insight into regional food that you won’t get from a restaurant. It’s not that restaurants don’t cook good regional food, it’s just that at an agriturismo you can become involved in the process. From picking the vegetables to rolling out the pasta dough, the reward is not simply in the eating, but also in the doing. The sformatino is Italy’s simple and stress-free answer to the soufflé. A cooked, sometimes puréed ingredient, is mixed with breadcrumbs, eggs and cheese (usually Parmesan), sometimes along with a little béchamel, then seasoned and baked in a mould in the oven. The sformatino is then turned out, hence the name ‘unmoulded’. 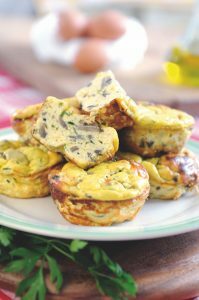 Sformatini can be made with any number of ingredients – most popularly mushrooms, spinach, courgettes or peppers. The Milanese scarpazza predates the current name of sformatini and was made with spinach or a similar variety of greens, combined with eggs and breadcrumbs. In Emilia it was called the scarpazzone and in Reggio Emilia, the erbazzone. Fresh, organic, free-range eggs make the difference in this dish which, if you are staying at an agriturismo, shouldn’t be a problem at all. Crostini are a smaller version of bruschette. They are a tasty legacy of cucina povera, a cuisine that originated in the countryside. Frugality demanded that nothing was ever wasted, and as such inventive ways were devised to make use of stale bread. This is known as pane raffermo (stale) and it’s probably fair to say that the Tuscans lead the way on the subject. Importantly, pane raffermo should have none of the negative connotations often associated with stale bread. It might better be described as day-old bread which has firmed up. 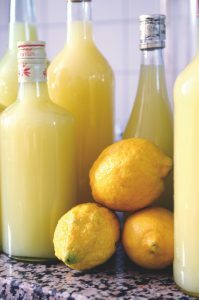 At a good agriturismo, the topping should come direct from the vegetable garden. 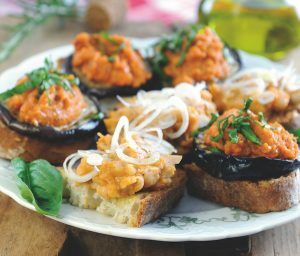 When it comes to crostini, there are no hard and fast rules other than simplicity and quality of ingredients. 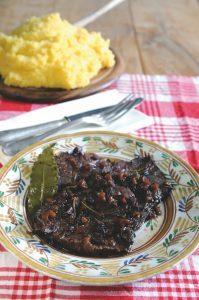 The brasato is another legacy of cucina povera. The name derives from brace, or the hot coals over which the meat was traditionally cooked. Usually it is made using lesser cuts of meat, which lend themselves to slow cooking. For farmers with small-holdings, the better cuts of meat would have been sold or used to make salami and other cured meats (many of which were also sold). Whatever remained would be thrown into a pot and would stew slowly while everyone got on with their daily chores. In some cases the meat is marinated beforehand with aromatic herbs and spices, then browned in fat or oil, and, as in the case of the classic brasato al Barolo, allowed to absorb the best part of a good bottle of red wine. There are more versions of brasato than one could possibly imagine, and what goes into a brasato depends very much on the individual region, the province, the season or whatever ingredients come to hand. It’s a common misconception to think that fresh egg pasta was eaten on a daily basis by Italians living in the countryside. The eggs were simply too expensive, and the process too time-consuming. The fact is that fresh egg pasta was reserved for an occasion – either for Sundays (in better-off families) or for feast days. 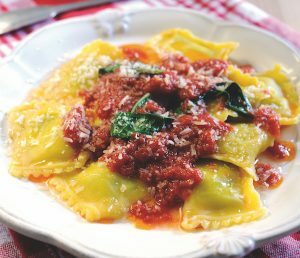 These tortelli are stuffed with the traditional combination of spinach and ricotta. Other vegetarian fillings that are popular include ricotta with wild greens, chard or nettle tips, and pumpkin or potato with Parmesan. Fillings with meat are also popular, but these are certainly reserved for special occasions. People are often put off by the thought of having to make fresh pasta. The truth is that it’s extremely simple and, with practice, doesn’t take too long to make. It soon becomes second nature for anyone who makes it on a regular basis. 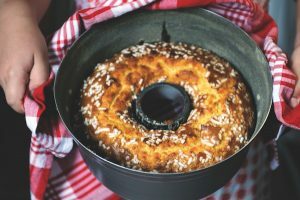 The ciambella rustica, like the crostata or the torta di frutta, is a simple country cake made throughout Italy. It tends to be quite dry and so is often accompanied by a glass of white wine. It is eaten at the end of a meal, most often on Sundays, or as a mid-afternoon snack for the children. Alternatively, it can be enjoyed over breakfast along with a caffè latte.